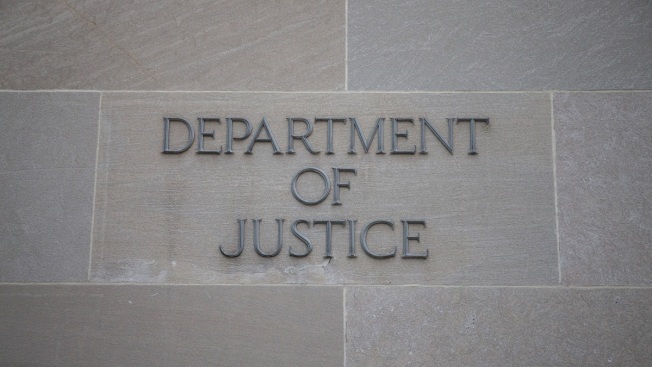 In this Nov. 7, 2018, file photo, the U.S. Department of Justice is pictured in Washington, DC. The Trump administration cannot withhold millions of dollars in public safety grants from "sanctuary" states, a federal judge in New York ruled Friday. The "court concludes that defendants did not have lawful authority to impose these conditions," Judge Edgardo Ramos wrote in his 43-page decision. The attorneys general of New York and six other states had filed suit against the Department of Justice earlier this year, charging the agency had improperly tacked on three immigration-related conditions they had to comply with in order to get grants for criminal justice initiatives. The judge ordered the DOJ to release more "than $29 million in grant funds that plaintiffs would otherwise use for law enforcement and public safety purposes."